As you read this column, I’m in the midst of visiting over 200 Golden LEAF scholars from over 70 counties across North Carolina, literally from Manteo (High School) to Murphy (High School). 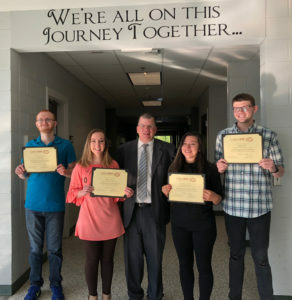 These young people competed with 2,400 other applicants for scholarships to NC public and private colleges and universities, and will have the opportunity to benefit from leadership development and internships that Golden LEAF supports as well. These young people are basically grantees of the Foundation. I impress upon them that we could have chosen other young people, and that we expect them to graduate on time and move to employment or postsecondary education. We also hope that many will consider staying or returning to rural North Carolina to put their knowledge, skills and talent to work to build the economy. Golden LEAF President Dan Gerlach visits scholars across the state. 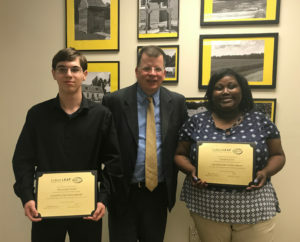 Our two Perquimans County scholars will receive $3,000 a year for up to 4 years to attend a four-year NC college or university of their choice. I’ve been asked why we invest heavily in education, workforce development, and scholarships. Given the large amount of state and local funds available, what possible role does a foundation have when there are many, many needs that demand attention? Many rural North Carolina counties are losing population, and a smaller percentage of the working-age population is actually in the labor force. This is not a scenario that Golden LEAF can stand to have happen, as our mission is to help transform the economy of these very places. We need to make sure that the population becomes as highly educated and trained as possible. Not every job requires a master’s degree, but obtaining some type of postsecondary credential gives people more options. An educated and trained population gives entrepreneurs, existing employers, and new companies looking to relocate confidence that there will be enough people with the qualities the global economy demands to be successful in rural and tobacco-dependent North Carolina. These scholars are bright and have deep roots in our communities. But they don’t know the opportunities that often exist at home. When they intern in hospitals or schools or manufacturing plants or accounting firms or cooperative extension offices, they learn that there can be something for them back home. That’s why work-based learning is so important. Dan Gerlach met these four Caldwell Early College High School students on April 30th. They have the opportunity to attend the Golden LEAF Scholars Leadership Program, which is a paid rural leadership and internship program led by the Center for Creative Leadership and only offered to our scholarship winners. It’s not just scholarships for those that have done well in high school. Our support for digital learning, STEM initiatives, and community colleges facilities and equipment reduces the difference between what our most affluent communities can provide and what Golden LEAF communities can offer. Frankly, when you provide a high-quality environment for talent development, the students can come to understand that they will be of the highest quality as well. Golden LEAF doesn’t make education and workforce grants in a vacuum. We rely heavily on private sector leaders and companies to give guidance to education institutions about what interventions will actually result in better trained and educated current and future employees. 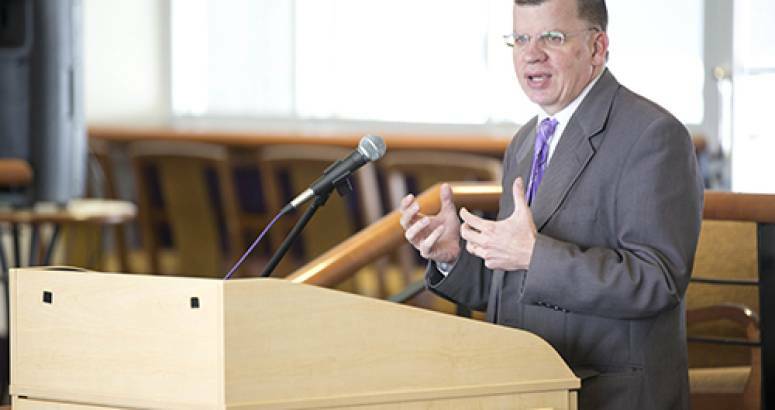 I was honored to be asked to serve on the MyFutureNC Commission, which has the goal of improving on cooperation across the educational and economic spectrum to grow North Carolina’s economy. Rest assured I’ll bring what we have learned, and a focus on rural, tobacco-dependent communities to that conversation.